There is no bad time for visiting Dublin. Come rain or shine, the city is full of native charm, great sights, and a rich cultural and literary heritage. But if you are lucky enough to go to the Emerald Isle in March, visiting during St. Patrick’s Day will show you the city at its liveliest. Yes, it will be more crowded than usual, but it’s also vibrant and raucous, offering an unforgettable experience. With more than 100,000 tourists expected to arrive in Dublin and join the locals for what is the biggest celebration in the country, is one the hottest spots for enjoying the St. Patrick festivities. This year, 17 March falls on Saturday, which means Monday, 19 March will be a non-working day, and the streets and pubs will be buzzing with people enjoying the three-day weekend. Dublin in easily reachable from most of Europe and US as well, thus, the great number of tourists it attracts every year, especially on St. Patrick’s Day. Companies such as AerLingus, Ryanair, and American Airlines offer no-stop flights, and you book in advance you can get decent prices too. – Taxi – probably the fasters and most convenient way to get from the airport to the city centre or your accommodation. Booking an airport taxi allows you to specify your flight number and time of arrival, so the company can track your flight and send a taxi to pick you up right when you need it. Even though the price is slightly higher than the other transportation options, it is reliable, more convenient, available 24 hours a day, and depends solely on your time of arrival and destination needs. 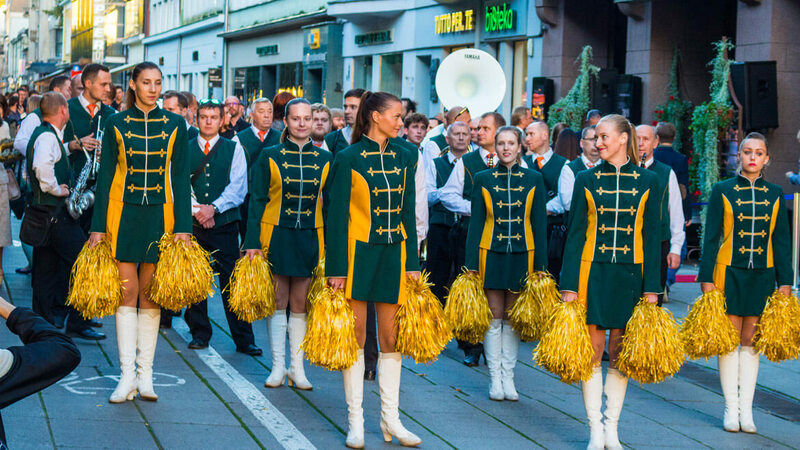 Under the banner of St. Patick’s Festival, from 15-19 March, there are many events happening throughout the city. The Festival includes including treasure hunts, tours and port walks, art exhibitions and installations, comedy and theatre shows, live music and much more. Additionally, the scenic Merrion Square hosts a funfair. It begins every day at 11 a.m. and from noon it’s accompanied by street theatre, music, crafts and other activities in Irish language. The main event for many is the St. Patrick’s Day Parade on March 17. The popular procession of street performers, musicians, dance troupes, marching bands and floats kicks off at 12 p.m. from Parnell Square down the east side of O’Connell Street. This year, it will follow a newly extended route and will continue through Westmoreland Street, then west on Dame Street and Lord Edward Street, down on Nicholas Street and Patrick Street, and finish at Kevin Street on the south side of the city. In order to secure a good viewing spot, aim to be there around 10 a.m., or if you arrive later, head down towards the end of the parade route for a chance of a front row view. The Parade lasts two hours, with many stops at various points where marchers have short performances. As soon as the last float is released, the crowd melts away, with many heading to the nearest pub for a pint. One of most famous tourist spots is Temple Bar and despite or because of its reputation, most Dubliners prefer to stay away from it. Additionally, it is fairly expensive compared to other local pubs, and can get overcrowded. But the amazing sea of leprechaun hats is a sight to behold, so take a stroll down Essex Street East and soak up the atmosphere before heading to another part of the city. – Visit The gravediggers if you are visiting Glasnevin Cemetery or the Botanic Gardens (and you most definitely should) where the interior hasn’t been changed in ages, and you can also have food, including the Dublin dish of coddle, which is unusual for Dublin pubs. There are many more interesting and picturesque pubs in Dublin worth visiting, each of them with a unique story and personality. Take your time to walk around town and explore even the less attractive pubs, and if you are unsure where to go next, you can always get a taxi and ask your driver for any suggestions on where to drink the next pint at or try some delicious food. The daily fun and wandering around the city is accompanied by amazing nightly performances including plays, topical talks, local art and photography and screening of Irish films. You can also check the full agenda for Festival Events and Citywide Events and make a schedule of where and when to go. This is probably one of the nation’s most original and innovative performance collectives, take over the Complex from 6 to 18 March, performing numerous shows and acts. Even if you are not a sport-fan, getting a glimpse into the exiting world of Gaelic sports is a truly fun experience. The All-Ireland Championship finals take place on Saturday 17 March. There, you’ll get a chance to see the most dedicated amateur athletes battle to bring pride to their local town in the ancient games of hurling and Gaelic football. The Six Nations rugby clash, with Ireland’s oldest rival, England, kicks off on Saturday at 2.45 p.m. The match will be played in Twickenham, southwest London, but the Dublin pubs will most certainly be full of ardent fans who didn’t make the trip. For those who prefer to participate rather than be a spectator, on Sunday, they can dust off their running shoes and shake of the hangover by joining the 5km road race that starts at noon from St. Stephen’s Green South. The online registration is open prior the event. 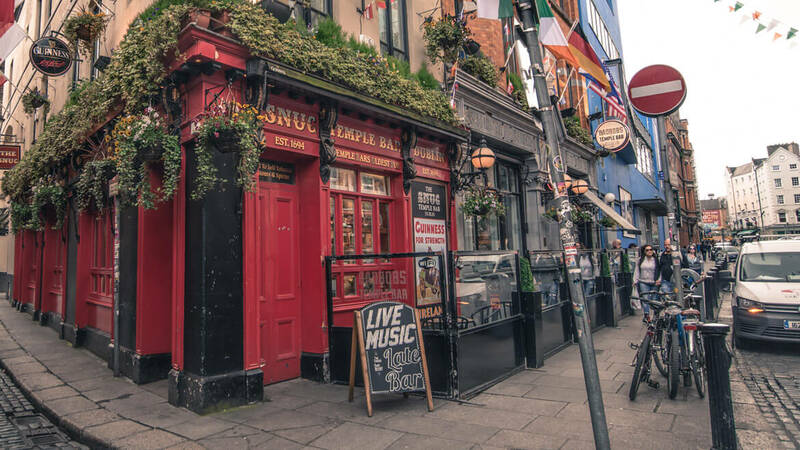 Dublin is undoubtedly one of the most fun and festive places to St. Patrick’s Day, with most pubs, bars, streets and public transport being incredibly busy. The city and the surrounding area offer many wonderful sighs, historical places, and venues, based on the centuries-old Irish tradition and culture, and sprinkled with modern flavour. So weather you decide to spend the days exploring the many event and activities, enjoy the delicious food and drinks served in the centre and the surrounding areas; decide to delve into history and visit Dublin’s National Museums and historical landmarks; or want to escape the crowds and admire the scenic landscapes, stroll the clifftops and eat freshly caught cod fish, you won’t go wrong. There’s something for everyone. Young or old, single, with partner or family and friends. The St. Patrick’s celebration has everyone covered. And you are not sure where to head next, feel free to ask the locals, or consult your taxi driver which are the busiest spots of the day.